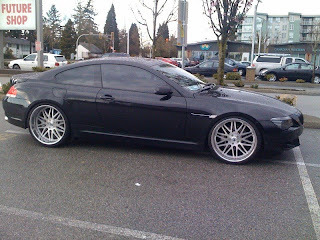 while out with Jai the other day, we came across this gonzo bmw m6. 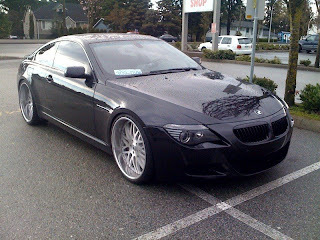 now, i'm not really a bmw fan, and tint is gay, but this thing was nuts. everything blacked out with some massive bbs style wheels, definetley one of the best bm's i've even seen, pure ganster style. check the pics for the proof.